1151100 HD8 / HD8EC ASTRA HD8 AND HD8EC TRUCK WORKSHOP (SERVICE, REPAIR) MANUAL - Diesel engine F3B. Manual gearbox ZF 16S 1620 TD or ZF 16S 2320 TD. The manual is suitable for the following lorries: HD8 44.36 / HD8 44.42 / HD8 64.38 / HD8 64.42 / HD8 66.38 / HD8 66.42 / HD8 84.38 / HD8 84.42. 1151101 HD8 Instructions for transformations and outfits ASTRA TRUCK HD8 EURO 5 Step 2. 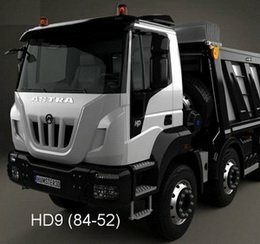 1151102 HD8E NEW ASTRA Truck HD 8E Tire 3 - tech data Free download. 1151103 HHD8 NEW ASTRA truck HHD 8 - tech data. Free download. 1151201 HD9 ASTRA Truck HD 9 - tech data. Free download. 1151300 ADT25 / ADT30 ASTRA articulated dump TRUCKs ADT 25 and ADT 30 TIER 3 - WORKSHOP (SERVICE, REPAIR) MANUAL. 1151301 ADT25 / ADT30 NEW ASTRA articulated dump TRUCKs ADT 25 and ADT 30 - tech data. Free download. 1151400 RD ASTRA RD Truck - tech data. Free download.